In Lee’s sometimes-stormy 10-year career with the Red Sox, he proved himself to be a workhorse left-handed starter, going 94-68 and often pitching 260 or more innings. At his peak, he won 17 games three years in a row, topped by a 17-9 record with 17 complete games as the Red Sox won the 1975 pennant. In the World Series, he had two no-decisions, the second of which came when he gave up a 3-0 lead as the Sox lost Game 7. PFP Sports & Celebrity Talent Agency is a booking agent for motivational sports speakers and celebrities. 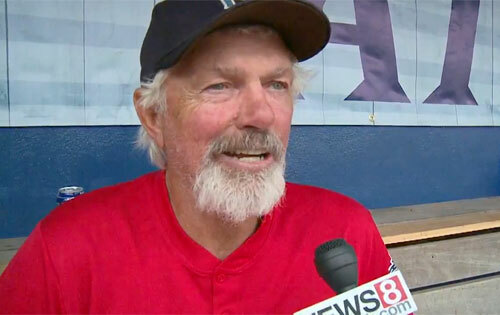 If you would like to book football speakers like Bill Lee for a speaking engagement, personal appearance or special event, you can request Bill Lee agent and speaker information from PFP Sports & Celebrity Talent or call 800.966.1380.